The Neon has served for a few years now, and has met expectations in every case. 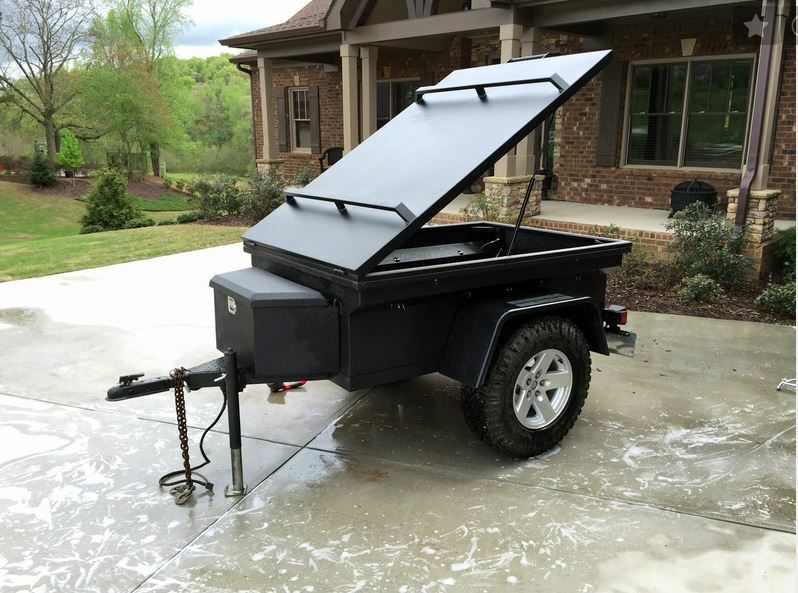 It has towed consistently and effortlessly, and has been comfortable for sleeping, watertight during rainstorms, and an excellent platform for cooking and as a general camp base. If there were one improvement that would bump it from meeting expectations to exceeding them however, it would be in added capacity to haul additional supplies or firewood. Adding capacity meant giving up interior space, and for solo camping, it really had more than I really needed. After some research I concluded that a general expedition-type trailer with a roof top tent was the most practical approach for meeting my objectives. 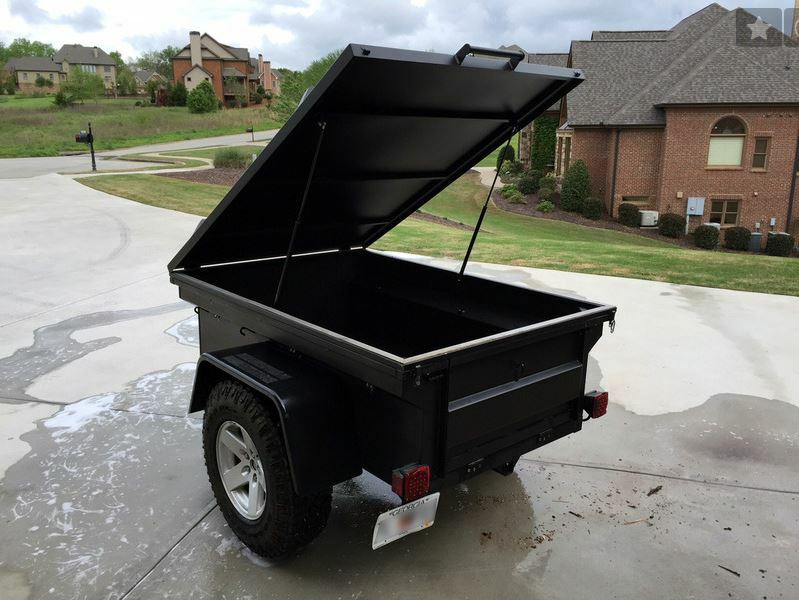 The large capacity tubs and bolt-on boxes would allow me to organize storage and to haul some larger items, such as dining canopies and heavier loads of firewood. An all-steel frame construction offers some confidence over the Neon, which was of wood and sheet metal on a thinner frame, for driving over unimproved roads or light trails. The simplicity of a RTT was also advantageous over the gearbox, cable assembly, and winching mechanism of a popup camper. After some looking, I found a nice local unit posted on Expedition Portal. The construction was right, the price was acceptable, and the black finish and wheels that matched the WJ (syle and bolt pattern) simply sealed the deal. 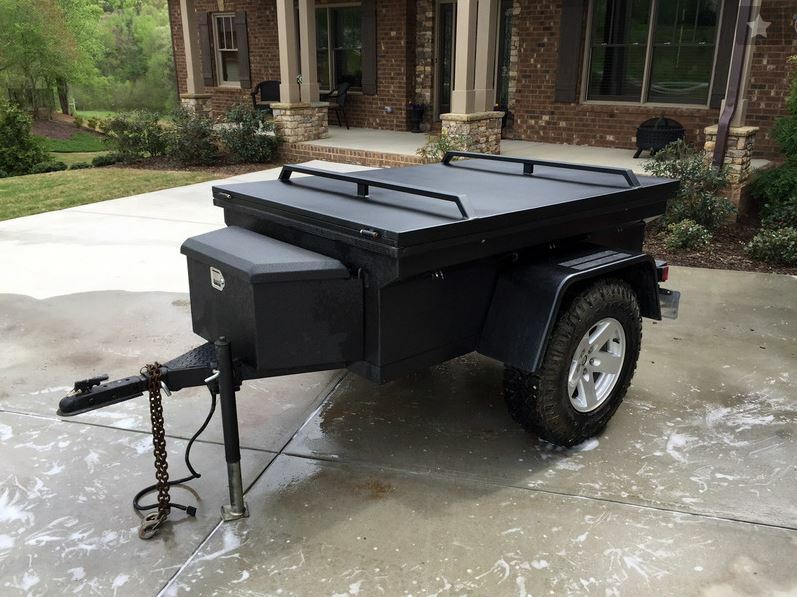 The trailer has Goodyear Duratrac LT265-85R16 tires, stout welded-on bars which are ideal for bolting on the RTT, and a roomy box up front to provide access for quickly needed items. The lid is hinged at the front, and lifts with the assistance from gas struts. The trailer also came with a steel frame cover and custom tarpaulin suitable to convert the trailer for general utility or cargo duties. The Neon was posted on Expedition Portal and sold quickly. It should provide many years of good service to it’s new owner.